Excellent work, easy to work with and was at great listening to our needs and desires. Easy to work with, I would definitely recommend them. Nick was a true pleasure to work with. He had a wonderful balance between listening to client interests and desires, and guiding the design based on well thought-out principles and what would work practically. He was an excellent communicator throughout the process and came up with solutions that met our needs and our budget. Nick provides high quality landscape architecture services at a good value. We would highly recommend him to those wanting a well-through and highly finished design. Nick is an excellent landscape architect. He listened to our goals and vision, then incorporated those into a detailed design. He scheduled multiple meetings to review the design and refine it based on our feedback - and the design got better and better through the process. We honestly could not have imagined such a beautiful design when we began this project. Nick also helped us navigate a complicated approval process with multiple submissions. We have not started construction yet, so we cannot yet speak to the finished product - but we're optimistic! We hired Nick to create a landscape design for a previously un-landscaped hillside in our backyard. This project involved creativity, vision, storm water management, irrigation, plant selection and siting of bocce ball, terrace and wine cellar. Needless to say, this was a difficult site to work with. Nick is a great listener and was very thoughtful and methodical in planning. We really appreciated the way he collaborated with others - including our architect, RSF Fire, and our contractor. He was always creative in finding solutions to problems. The landscape design was transformational to our yard and the end result was everything we hoped for and better! We spoke with various architect’s before determining that Nick had the vision, experience and technical skills we we looking for. We wanted a Van Gogh type who would use our new home’s large dirt lot as a blank canvas using native shrubs, grasses and trees as an artist uses paint. Nick’s design was beautiful, yet practical. He worked closely with us listening to our plant preferences, budget and vision and created a work of art that conserved water, used all the elements of great landscape architectural design. He fit the landscape to our residence perfectly. What can I say about Nick, he is FANTASTIC!!! He is not only a fantastic landscape architect but a GREAT person as well. I initially wanted my back yard designed out but I asked Nick if he could do my front yard and courtyard if my budget would allow. The plan he came up with, with respect to my budget, was spectacular and had exceeded my expectations. Nick is very professional and was on time to all of our meetings despite the fact that it is quite a drive for him to my place. He is very knowledgeable and detailed in his work and fully explains all aspects of the plan. He even modified our original plan to fulfill the requirements of my HOA. I would highly recommend Nick to anyone! Thanks Nick!!! We worked with Nick Martin to design our 1+ acre lot. He was fantastic to work with and we really like our final product. He has a very well defined design process. He took in our input regarding what we were looking for and added his artistic perspective. He is very knowledgable regarding city requirements and what soft scape works in what areas. We would highly recommend him. Nick did an outstanding job creating a design for our backyard. Our project wasn't large physically but presented him with numerous technical and logistical challenges. He was able to come up with a unique design that incorporated everything we wanted into it. 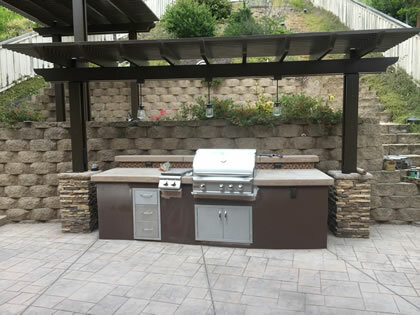 The project had many hurdles and challenges and Nick was there to work through those challenges and provide us with alternative solutions that still met our overall backyard design goals. Nick was also able to find a fantastic contractor to do the work and make this a reality. Our project is now complete and we couldn't be happier. It is flat out incredible. Every person that sees it is amazed by the design and how it turned out. We would highly recommend Nick for anyone looking for a unique backyard design. Nick is an excellent landscape architect. We recently hired him after reviewing his many landscape design projects shown on his website and we were impressed with his work. Nick promptly responded to our email inquiry that we made directly from his website and he arranged to meet us at our home to discuss our complete landscape makeover project. The initial meeting went very well. He listened carefully to our design ideas and plant preferences and he gave us new ideas to consider. Thereafter, during the design process, Nick made several more trips to our home for design progress meetings and he was always on time and ready for each meeting. We found Nick's design ideas to be very creative at a reasonable price and we could not be happier with the final design plans Nick has prepared for us! We will soon be breaking ground on our new project! My wife and I decided it was time to renovate our backyard. Our existing landscape was very disorganized and was fraught with difficult design issues. That is when we decided we needed some professional help. Nick was the perfect match for turning our vision into reality. Nick's plans stand out from the rest because they are so detailed and free from ambiguity. Our backyard is currently under construction and we are loving the design more and more every day. Thank you Nick for helping us create such a beautiful outdoor living space. Can't wait to see the finished product! Nick Martin Landscape Architecture Inc. is a great company to work with. We bought a house (new construction) near route 56 at San Diego. Our front yard and backyard is all dirt and no landscape at all. We tried a couple contractors and none of their landscape design we liked. We searched internet for landscape architecture and were immediately attracted by Nick’s design at his website. It took a while to get Nick’s attention since he is very busy with other projects. Nick was always on time for our appointments. He carefully listened to what we intend to do. He thoughtfully designed the back yard and front yard. He is very detailed oriented. He sent us material links and answered all of our questions. He also Pointed out our mistakes; and listed the pro and cons for us. We are extremely pleased with Nick for his services. He is highly professional, very knowledgeable, with an effective working style, high quality of design. We are so glad he was able to help us for our project. He is really best landscape designer we have ever met. Based on a recommendation from a friend, we hired Nick Martin to design the patio & landscaping for the back yard of our new home (new construction). Nick was super detailed. He carefully listened to what we were looking for and assembled beautiful plans that met all of our requirements. He was always on time for our appointment and came prepared with each phase of the project. He also connected us with all of the vendors we needed for our project. We are extremely pleased with the service we received from Nick. We had planned on hiring a landscape company to both design and build a project for our Carlsbad 3880 square foot home. After visiting with 3 firms and being told "There will be a cost for the design unless you use our company" we quickly realized the more people we had bid the project the more it would cost us. We decided to hire Nick and with our input and his home visits he developed a perfect design for our challenging backyard. With design in hand we now had 3 contractors bid the same scope of work. Our project budget was 200k which included a pool and Nick got us there with a multiple of options. The design once completed was more than we could have hoped for and would recommend Nick and his team whole heartedly. Nick did a great job for our garden, affordable and professional job!!!! Our community has very strict standards, and we used to live abroad, but with monthly meetings and Nick¨s talent, he got from our first meeting the right idea of what we wanted, that was outstanding!!!!! Now, many neighbors had asked us who did our project. Nick Martin is by far and away the best in this business. His attention to detail, professionalism, and expertise is bar none. We had followed his work for 2 years prior to asking him to design our space. He was able to take our small backyard space and create an amazing design which we could not have possibly imagined. Every recommendation was spot on. We are so grateful to Nick Martin for creating a beautiful space that we will enjoy for years. Nick designed our back your in the spring of 2016. We did a complete remodel of our pool, and added a fire pit, BBQ island, hot tub and other features. Nick was excellent to work with, very creative and was always willing to make changes to get it "exactly right!" I would highly recommend need and already have to friends and family. I originally hired Nick in 2002 to prepare a landscape plan for my 28,000 s.f. lot. I had been performing all my landscape improvements myself, in stages, and was concerned I would omit plannning for future needs. Nick spent a great amount of time with my wife and I determining how the landscape plan would be designed, to coordinate with our lifestyle. Nick prepared very comprehensive plans. We eventually hired a landscape contractor in 2006 and had them implemented. We have enjoyed our yard the past 10 years with our four kids, but now that most of them are out of the house, we realized our landscape needs have changed. I hired Nick again and he has come up with a terrific plan, utilizing much of what we had already installed, but tailoring improvements to our current lifestyle. The new plan integrates more water efficient landscape/hardscape and adult oriented entertaining areas. Nick has a sharp eye for how everything functions together and was extremely patient, during the design process, we threw him a curve ball a couple of times and he gladly adpated our plans. I am in the commercial real estate development field and have experience with architects and engineers. I have to say that Nick is at the top of my list. He represents the best, in terms of professionalism, talent and character. 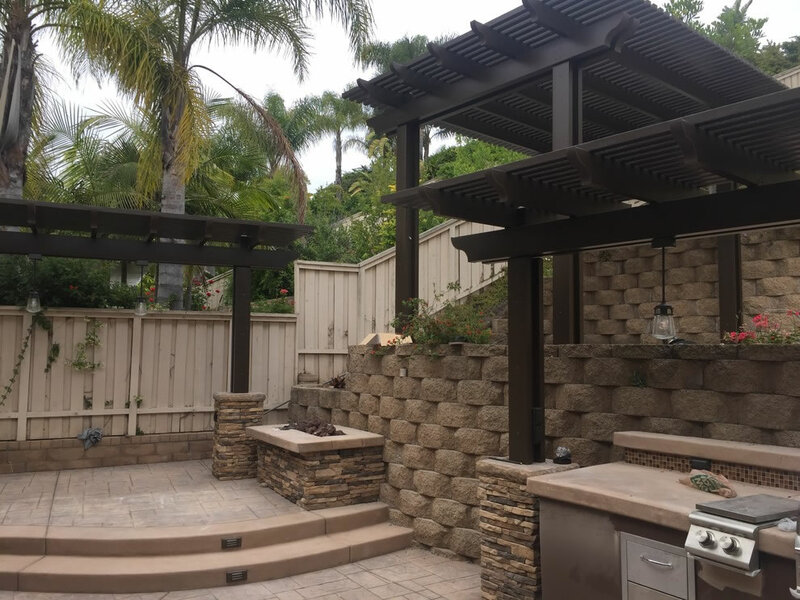 My wife and I hired Nick from Nick Martin Landscape to design our dream master landscape architecture plan for our home in San Diego, and he did just that. We absolutely love the final plan including both front and backyard designs and are excited to get the project underway soon! Nick expertly guided us through the whole design process, including preliminary concepts, final layout, material selections, and even helped with quotes from vendors. He even came with us on field trips to view plants and help select materials. We started with some basic inspiration ideas and a few requests about how we wanted to use the front and back space. From our rough ideas and Nick’s creative vision, he put together a plan much better that we could have imagined! To create just the right design for us, we met with Nick several times of the course of a few months. Nick was very flexible and accommodating of our crazy schedules too. Since we have two preschoolers and both of us work, we were especially appreciative of this. After getting to know us and our style preferences, Nick took some measurements of the space. By our second meeting, Nick had already created a hand drawn color rendering that conveyed an initial landscape concept, and conveyed ideas like zone usage / plantings/ lighting/ hardscape/ patio coverings, etc. We met several more times and he honed in further on the final plan. Each time we met, Nick would produce another "layer" of the master plan. Nick often asks questions to understand what we desired and check that the plan was exceeding expectations. Nick is very thorough and good about explaining all the details of how everything would come together and function. This is obvious when you see his detailed plans. The space we had to work with was small, and as Nick pointed out at our first meeting – small spaces mean the details are crucial. 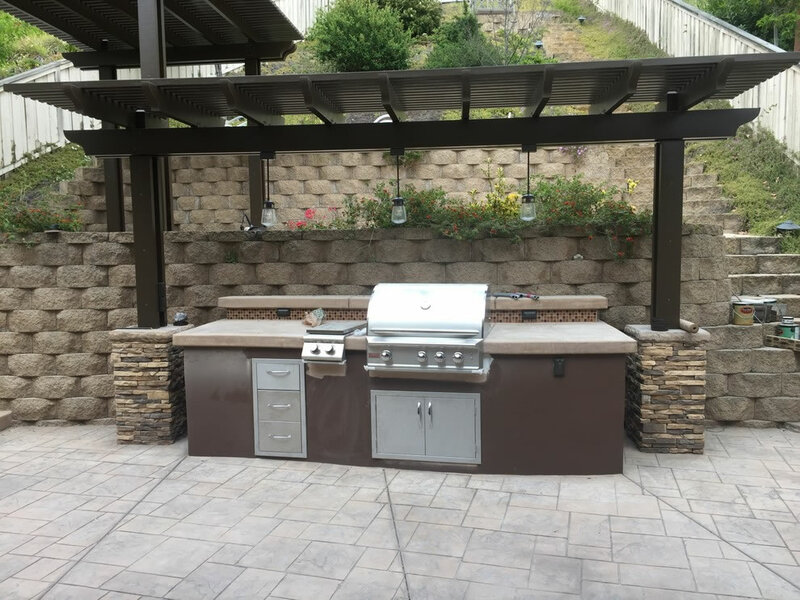 His plans included hardscape drawings, planting plans, drainage plans, electrical/lighting plans, irrigation plans, as well as detailed custom items such as a fire pit and built in barbeque. The plans were so well done that it was very easy to get bids from contractors allowing us to see side by side quotes. Nick has an extensive network of associates, suppliers, and vendors that he had personally done business, which certainly helped us to navigate through such a wide range of companies out there – good and bad ones. Nick also works with homeowner’s associations to get the master plans through the approval process, which can be quite an ordeal in some communities. Overall, we were impressed with Nick’s experience, professionalism, quick turn around on the design updates, and support with getting the plan quoted and ready to start work. He’s also creative and can take a small grain of an idea and grow it into a complete design, ready to go. We’d highly recommend using Nick for any landscaping architecture designs, both big and small! We interviewed three architects including Nick based on his designs on Houzz. We were sold on Nick from the first meeting. Nick was truly amazing at helping us realize our vision, in real time... he is a terrific artist, with the added benefit of his technical knowledge, years of experience and impeccable taste. In addition to being talented, Nick's energy and professionalism made him truly a pleasure to work with at all stages of our project. He provided timely, detailed and accurate plans that made it possible to go out to bid early with total clarity around all aspects of the project including new construction hardscaping (BBQ, Firepit, Cabana, walls, etc. ), landscaping, a large custom designed pool, lighting, drainage and irrigation plans. Everything is drought tolerant with state of the art irrigation and drainage including bioswales. Nick was extremely credible with our HOA design review committee and was quick to turn around any required changes enabling us to be among the first to receive plan approval in Alta Del Mar. I recommend Nick without reservation to anyone needing a landscape architect for a large residential project. What a gift it was for my wife and I to find Nick and have him help design our backyard. He listened well and spent time hearing our creative thoughts and ideas and then was able to put them on to great drawings that were professional, very comprehensive and attentive to details. We did not have a big project or a big budget, but he treated us as if we did. He connected us with great contractor who matched out needs. Going with Nick to plan out the remodel as a designer and architect, rather than having a contractor do both, was totally worth every cent. He was aware of many small details that we never would have thought of, and he had a creative spirit that was not matched by anybody else. We found Nick and his wonderful reviews here on houzz.com. Our backyard was in desperate need of help and had many technical challenges. In addition, our budget was limited to $30,000. Long story short, Nick redesigned our yard into an oasis. On our own we could have never imagined that our yard had such potential. He is truly top of his class, and not to mention a really wonderful guy, to boot. If you are looking for a high quality, detailed design incorporating your personal design style along with that of a truly talented landscape architect, Nick Martin would be my strongest recommendation. Nick has a depth of knowledge that is apparent from the first meeting. He can quickly take your ideas and develop a working plan that will make you very happy. My wife and I was ecstatic with his first draft. It had brought in all those things we wanted in our back yard. He continued to refine the plan, making suggestions and keeping us aware of the potential of our back yard. We were not looking to create a "million dollar" back yard. Nick told us he could do that and I fully believe him. He did keep us on budget and we are now nearing the completion of our yard. I suppose I could have waited to write this, but seeing how things are coming together, I felt I should provide my insights. In summary, Nick is dedicated, talented and full of amazing concepts and ideas for yard design. He has a quirky sense of humor that kept me from taking things too seriously. He produces quality designs that will have me and my family enjoying our back yard for years to come! In any professional field you will find three characters. The beginner, The professional, and The Master. I can say with conviction that Nick Martin is a Master. Many L.A.'s become a kind of plan mill with ideas repeated again and again, and it makes sense since a fully custom one-off masterpiece takes immense effort, time, creativity and experience. Nick is not one of them. I have been so fortunate to work with Nick on many occasions and when I thought he couldn't top himself after the last triumph, he sets a new standard. In my field (landscape construction), there is a recurring list of criticisms of many Landscape Architects; they produce a gorgeous piece of paper art that is either impractical to build, impossibly expensive due to lack of knowledge of the products of the industry, or lacking forethought on the practical use by the home owner. This affects my bottom line and the overall satisfaction of the most important people in the trade; the client. I know without fail Nick is going to produce a work of art that satisfies these most important criteria, and in such a beautiful way. I am also impressed that he is never done learning. He is always seeking the newest technologies, products, and trends within the landscape world. So after having stated the above I must also provide a non biased perspective on his pricing. After having achieved the status of Master, one should be compensated in a way that reflects the achievement. When you deliver what no other competitor can, you have the right to require a fee that no other can justify. This may be my only criticism about Nick Martin, he is too reasonable in pricing! I guess I'm not unbiased afterall. In closing, I must say that if you have the opportunity to have your home designed by Nick Martin, you will pay less than you should, receive a work of art you will fall in love with every time you come home, elicit admiration in all who visit, and you will very much enjoy working with the kind and talented man I am grateful to call my friend. Nick is not only very professional and knowledgeable, but also just a great guy. He's very warm and friendly and really wants to make your landscaping dreams a reality. He's been in the business for a long time and he's very well connected with growers, contractors, nurseries, etc... He worked with us on a very large project on our first house almost seventeen years ago, and our front and back yards were so beautiful, that the house sold after being on the market for just two weeks. We just completed the design on our new house and can't wait for all the new plant materials to mature. It looks great now, but in two years it will be fabulous! Nick was also very good at working with our homeowners association as well as the fire department to ensure that we were within the guidelines of a fire in shelter community... something we knew very little about. I was happy to have him navigate that aspect of the project. I hired Nick to design front and back. His attention was fantastic. His communication was great! the time he took to determine our desires was extensive, then his design was stunning! Nick Martin is a true professional and excels in every aspect of Architectural Landscape Design. Growing up with an Architect as a father my expectations were high. After meeting Nick I knew he was exactly the person I needed for my project design. During the design process Nick was very patient and turned my basic idea into a work of art with his vast knowledge of plants and hardscape enhancement. The design plans are meticulously detailed to perfection for every aspect of the project. Details included, but not limited to ground grade levels, precise plant sizes, type of water system installation, lighting specifications and hardscape material. Nick Martin's exceptional talent, keen sense of visionary ideas, patience, sense of perfection and overall knowledge in my opinion make him the Very Best Landscape Architect in San Diego County. I would highly recommend him for any size job. We had the pleasure of hiring Nick Martin Landscape Architect to design and prepare pool and landscape construction documents for our new home in Carlsbad. Nick was very creative, listened to our needs, and gave us exactly what we were looking for. It should be added that we hired a landscape contractor (who was not recommended by Nick,) and unfortunately this unethical landscape contractor failed to do a good job for us. Fortunately, we were able to use the highly detailed landscape plans (provided by Nick Martin LA , under our contract) and this allowed us to prove our case against the “unethical contractor” through a legal process filed with the Ca. State Contractors License Board ( CSLB ). We were so happy to have highly professional plans to fall back on, and this was a huge help above and beyond what we expected. We are very happy with his professional design service and will give him our highest recommendation. Excellent experience with Nick in helping design our complex landscaping plan for a large lot. He was a true professional, easy to work with, meticulously detailed, flexible with ideas that we had (and wasn't afraid to tell us when something we suggested would not fit with our overall look and feel of the home). He was the highlight of our planning process. Highly recommend. Nick Martin is a highly skilled landscape architect, and he was a good fit for our family's plans. I needed particular assistance in making our yard first of all functional for our toddlers to teenagers, and then to make it beautiful and serene. Nick achieved this with his design. Nick was professional, creative, open to suggestion and revisions, prompt, reliable, and so patient. He guided us through the process and his detailed plans enabled us to get bids from multiple vendors comparing "apples to apples". We are thrilled with the results, and our yard is a true reflection of our style. Thank you Nick! As a busy contractor, it's always important to have a reliable architect to refer to clients when they are in need of a complete "vision" for a landscape project. I have worked with Nick for over 25 years, and he has a passion and love for what he does, and it shows within his past projects. He keeps up to date with ongoing changes within the industry. If you are in need of a landscape architect for your project, don't hesitate to give him a call. I recently had the pleasure to hire Nick Martin on a complete design and remodel of our yard. The design and plans encompassed the Front, back, and side yards. If you've been to Nicks website, then you'll understand the level of design and attention to detail you get when you work with Nick. Needless to say my wife and I were blown away by the design, not only did Nick include everything we wanted but also thought of features and design elements using his depth of knowledge in this area that we never could have. Once you sign off on the final design, Nick provides you with a complete set of plans that feature every stage of the building process and every detail imaginable, making working with a contractor seamless. Nick is a creative, thorough designer. He is easy to work with and listens to his customers' needs and ideas and takes them to the next level! We were very fortunate to have found Nick on Houzz after several unhappy experiences with other so called designers. Nick is far and above the best we have seen and worked with. Our finished product was outstanding and our contractor and HOA were impressed with the thorough designs he provided. Thanks Nick for a job well done! Nick is a professional and innovative landscape architect. While designing our backyard he assured us that our plan would be individualized, creative and within our budget. We are so happy to have had the chance to work with Nick. He helped make our vision a reality. Nick is excellent and a talented architect. He created a beautiful outdoor space for us based on a photo that I had for a patio cover. He had amazing ideas and created the most beautiful graceful fireplace that I love! Every aspect of the design was excellent. He is very talented and gifted. Thank you Nick! Nick Martin was amazing to work with. 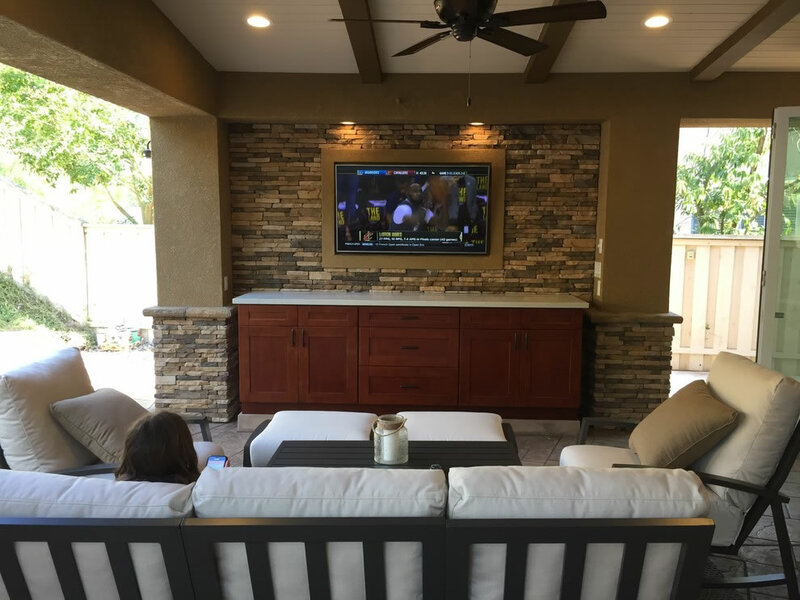 He was able to create an outdoor living space with functional spaces, entertainment areas, beautiful hardscape and landscape choices and ambient lighting. Our yard is now not only esthetically pleasing, but Eco friendly as well. Nick Martin is truly a modern Renaissance man. Nick has been outstanding to work with. We were very pleased with this level of professionalism and follow up. He was always quick to respond, very thorough, and followed through with everything promised. My wife and I found him very pleasurable to work with and would highly recommend him. I am an interior designer and I am very selective about the Contractors as well as the Architects that I work with and recomend. Nick is a true professional who takes pride in his work. A quality missing in most these days. Always reliable, patient, considerate, timely, and innovative on his projects. He is good listener, that takes his clients requests and needs and incorporates them into the landscape design he presents. He is also a great problem solver, and creative in the options he presents. Nick is a "diamond in the ruff", and I highly recommended him for any landscape design project. I feel honored to know Nick Martin and to have been lucky enough to find and work with him and his Company. A real professional with impeccable taste. You cannot go wrong working with Nick. By chance I know two others that have worked with Nick and they are as satisfied as we are. Nick is highly recommended! Nick designed my entire back yard. Pool, fire pit, hardscape and cassita. Nick's attention to detail and his eye for design have made my project a potential award winner! Throughout the design process he was a gentleman, responsive and great to work with. Nick Martin, landscape architect is a mix of creativity, art, experience, utility & common sense. My residence in Carmel Valley is about 26 years old and the property is past due for a major renovation. Nick designed the patio cover, fire pit, built-in barbeque, gates, planting, lighting, concrete decking, etc. The drawings he produced are very complete and leave little chance for ambiguity with my contractor. His work took the headaches away and made dealing with our HMO much easier. I will be starting the project very soon. Can't wait to see the results. Nick is a true professional as well as a talented artist, and it was a pleasure to work with him for our backyard remodel. He was a great listener and really worked with us to maximize the functionality of our space while staying mindful of our budget. He has also checked in on us after the design phase to make sure we're happy with the installation. I would not hesitate to recommend Nick and will definitely use him in the future for other projects. Hired Nick to design our whole landscape for our new home, from the pool to the driveway and everything in between. Nick did an amazing job we love the ideas he came up with and we loved that he took our ideas and ran with then and made them even more amazing. We can't wait to see the whole thing come together and become a reality. Nick was very easy to work with and his work is truly spectacular take a look. Nick Martin has provided design and documents on quite a few of our luxury projects. Nick delivers his product with a high degree of creativity, and professionalism every time. It is our pleasure and I am so glad that these families have hired you. We cannot say enough good things about your great design and what a pleasure you have been to work with. We especially value the repeated visits and design reviews – the design has improved so much through this process and we are really happy with it. So, thank YOU for all of your hard work! We are so excited to get through this stage and ultimately have a beautiful design that wins some more awards for you on Houzz! Please accept this letter as my highest recommendation for Nick Martin Landscape Architect. I have had the opportunity to work with Nick and his design team over the past few months on my home landscape renovation. His experience and input was invaluable over the course of the design phase of my project. His efforts to provide an architecturally pleasing design, while incorporating numerous design features which allowed the area to flow from one area to the next. From plant material specifications to low voltage lighting to water conservation; the entire project design stood out as a very pleasing and functional use of the available space. I wish to acknowledge the high standard of performance and professionalism exhibited by Nick and his team throughout the design phase of this project. Nick always kept our budget constraints on the forefront; not letting us get too carried away with features and amenities which would have put us outside our budget. He delivered a top quality detailed blueprint, on budget and gave us a landscape design we are building and will use for years to come. Value engineering throughout the project has allowed us to realize a functional space which has exceeded our wildest imagination. Again, special thanks to Nick and his team for a job well done." Kelley and I are very thankful that we had the opportunity to work with you to turn our landscape desires into reality. Your ability to capture our needs and desires, develop a design that was beautiful and functional, and then to value engineer and ensure the project to meet budget was top quality work. Your attention to detail and providing high quality detailed architectural plans enabled us to get through our HOA review process with no modifications to the plan, which was a great stress reliever. Now as our project is underway, and we can't thank you enough for recommending Western Pavers because they are doing an outstanding job, we look forward to having you back at our home to see the finished project in February 2011. We have the plans and we think we are there. Awesome! You did a fantastic job ! We sincerely appreciate all the effort. We received the plans the other day; very nice. We're very happy with the way the yard turned out. Thanks for helping make the dream a reality! I received the irrigation plans thank you. Everything looks great and complete, so glad it is finalized. We will keep in touch and hopefully you will be happy with the finished product. I know it is fabulous, thank you, I can visualize the whole project, I can't wait :-)))). Yours plans impressed the ARC committee and they have approved the plan. The chair commented on how professional everything was done. We thank you again for the time and work you put in for us. We are very pleased with the result. Thanks again for an excellent job done for us!" The irrigation plan is just what I was looking for so thank you. I think we are finished with the design and don't need any further adjustments. Thank you for all your patience and understanding through this process. I know we requested many back and forth changes and you were always open and willing to make those adjustments. We really appreciate everything you did and the plans turned out great. Both the back and front yards have everything we could have ever wanted and our house will be completely transformed. We can't wait to see our plan come to life! You might be happy to know that we are implementing your design in our backyard this week! We made a couple of slight changes, such as doing a built in fire pit vs. portable and adding seating around it, and adding electricity to the patio cover, but overall we're following it to a T. We got several quotes for the entire project and every single bidder complimented the design -- we gave you all the credit!!! Thanks and we are SO excited to finally be doing this!!"